boots laying on the ground, gloves scattered everywhere, coats piled up high- and sometimes it stays this way until the next morning when my kids put on their winter gear and head off to school. On other days, my foyer is spotless. On ALL days I consider myself a good parent who loves her children and wants what’s best for them. On ALL days my children get fed, get hugs, have playtime, and have a mom who loves listening to their stories and jokes that don’t make sense. On ALL days my children and I have dinner together and play together as a family. On ALL days my children go to bed in cozy pajamas and kisses from mommy. On ALL days I’am neither a winner nor a loser, but a mom who is trying her best. Sure, some days are more difficult than others, and I get washed over with feeling overwhelmed. 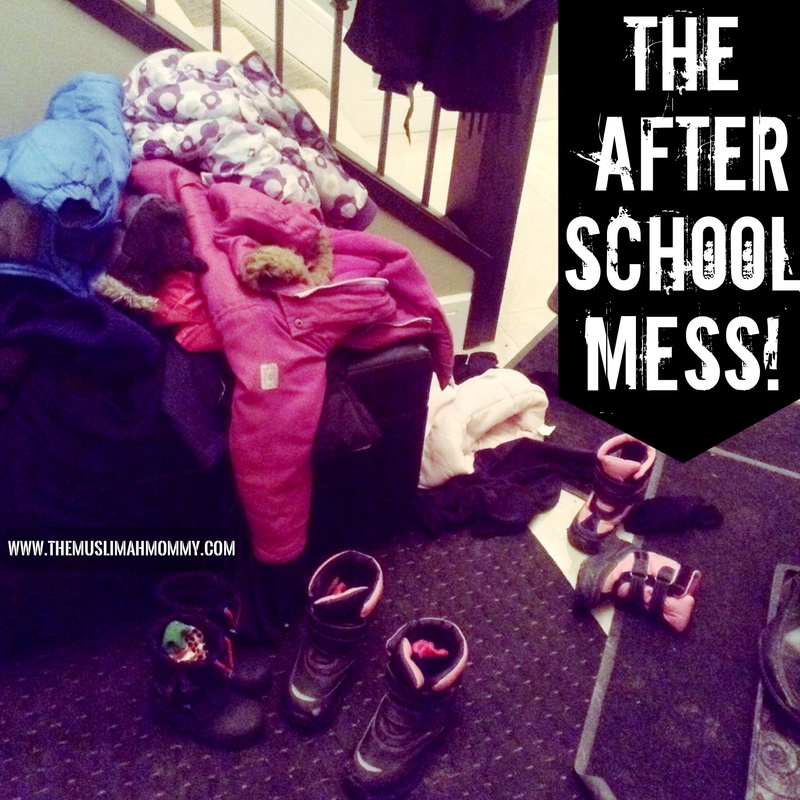 Yes, those are the days my foyer looks like a mess, as does most of my house. But no, I don’t let it bother me. Why should I? I know I won’t always have the time or energy to clean my foyer, but I will make time for my children. I can’t always promise you I will have a clean house, but I can promise myself that I will try to be the best parent to my children. Clean foyer or not, my children are loved and that’s all that matters! Reblogged this on Frauen und Islam. My dear Sister,this Post is so true,encouraging and beautifull.May Allah blesses you and your Family. Aslm sis, I am not even far in the mommy world and I completely understand what you’re saying. May Allah faciliates the load for us inshaAllah amiin.Some days are just better than others and we just make the best of them :p alhamdullilah. A messy home is a happy home I say. Here in south africa we have summer break now.So there’s no chance of my home being spotless n neat until mid January. I wouldn’t have it any other way.